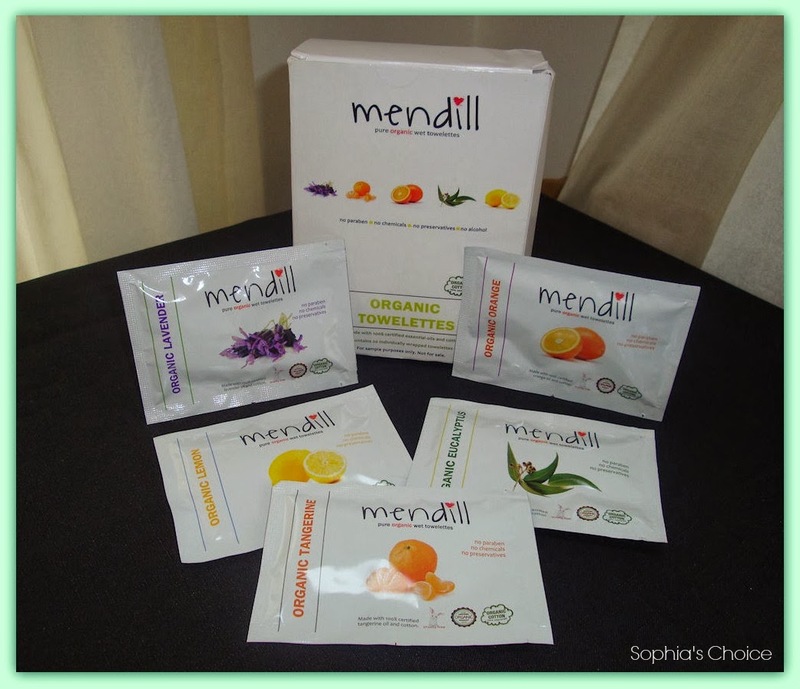 Mendill Organic Towelettes - The Future of Wet Wipes? As a busy Mum of 2 energetic girls who love to live life to the full, I find that wet wipes have and still do play a big part of my life ! 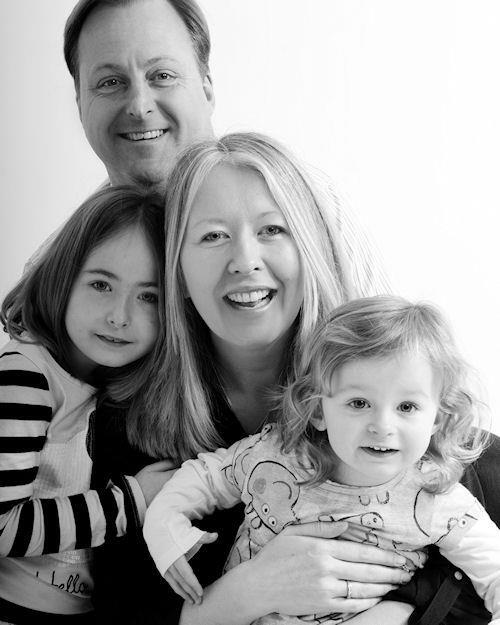 Since Sophia first arrived over 7 years ago and little Jess 4 years later, the car, kitchen table, bathroom, change bag, and my handbag haven’t been without a pack of wipes to help mop up spills, wipe mucky mouths and hands, and get me out of many a tricky child related situation. Wipes vary a great deal. I always like to purchase more natural, fragrance free brands without the chemicals more mainstream brands have. However, my one bug bear with packs of wipes is that they normally come in a relatively big pack and often part way through the pack they start to stick together ! There is nothing more frustrating as a Mum or Dad, or even a grandparent when you have a wipe emergency and you can’t get the bl**dy wipes out of the packet ! It drives me insane sometimes. You need about 3 pairs of hands to not only hold your little one still to stop whatever wipe emergency you have getting any worse (damage limitation), another pair to fight with the packet to actually get the wipes out and then the last pair to administer a clean-up operation whilst your little one wriggles around and protests ! I exaggerate to some degree perhaps, but it can feel at times like a battle of the wipes. And yes I know it’s not just us parents who use wipes either. They are truly useful and versatile for all. However, there are times when having just one or two to hand in your handbag, pocket, car glove box, wallet etc would be great don’t you think? Well may I introduce you then to “Mendill”. Now there is a chance that you may have already heard of these wipes before. There has been a real buzz about them in the Beauty Blog arena. I’ve read lots of posts on them and I personally started chatting to Mendill on Twitter last October as they lent themselves really well to my online shop. They offered to send me a sample box to try and what arrived was a mixed box of individually wrapped organic wet towelettes. These wipes are truly unique and the team behind them is exceptionally passionate about what they do and so they should be. Mendill are based in Ankara, Turkey and have a fabulous team of 7 people “dedicated to promoting a pure, healthy lifestyle and the desire to form an inspiring organisation with sustainability at its heart.” And having been in correspondence with them over the past few months, this passion and heart shines through. They are a team of individuals who deserve to succeed. Mendill wipes are made with 100% certified essential oils and organic cotton. They are boxed in 100% recycled content cartons. They are free from parabens, chemical preservatives and fragrances and are not tested on animals. 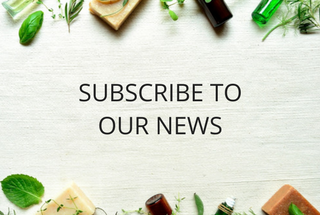 Mendill are also a member of 1% for the Planet, which is a growing movement of companies who donate 1% of their sales to support the environment. Organic Tangerine – This wonderfully sweet, fresh and citrusy oil is thought to promote happiness, and help nervousness and anxiety. Also antiseptic and calming. Organic Eucalyptus – With anti-microbial and anti-bacterial properties, eucalyptus can act as a disinfectant. It is well known for giving relief from sinus infections, blocked noses, common colds, bronchitis and flu. Organic Lemon – Detoxifying, antiseptic, a disinfectant, with antifungal properties, lemon oil is rich in vitamin C.
Organic Orange – Has anti-inflammatory and antiseptic properties. Orange oil promotes joy and happiness. Its natural antiseptic properties make it great for cleaning and treating scratches. Organic Lavender – A natural antiseptic, antibacterial which encourages healing and cleansing. Lavender helps to purify the body and spirit with its aroma and is very calming and soothing too. What I love about these wipes it that they are so handy and versatile. As a family we have used them a lot. They have been put into handbags, the car, pockets (coat, jeans, work wear) and if you were going off to the gym and wanted to freshen up afterwards they would lend themselves well to being in your gym bag too. We have used them on long car journeys to help with car sickness with the girls, on walks to the beach when a wipe in a back pocket can be invaluable, they are a staple in my handbag now for those “just in case” moments. They really do lend themselves to so many situations. Now how much do they cost I hear you cry. Well, they currently come in boxes of 20 in each individual fragrance. I would actually like to see a mixed box as standard as I believe this would be very popular. They are £10 for a box of 20 and although this makes them 50p each I personally think they are worth it. These are not wipes you use lots of on a daily basis. They are to be used on an “as and when” basis when a individually wrapped wipe is really needed, and also when something with other healing properties like being antiseptic, antibacterial for example is really important too. In my change bag for the girls I’ve always had plasters, cotton wool, tea tree and calendula creams, homeopathic remedies all at hand in case of an emergency. Mendill wipes now feature in this little lot too. You can currently purchase Mendill wipes from Love Lula and also This Is Beauty Mart (Lavender & Eucalyptus only), but let’s just say there may just be another online outlet selling these fabulous wipes very soon. Watch this space ! 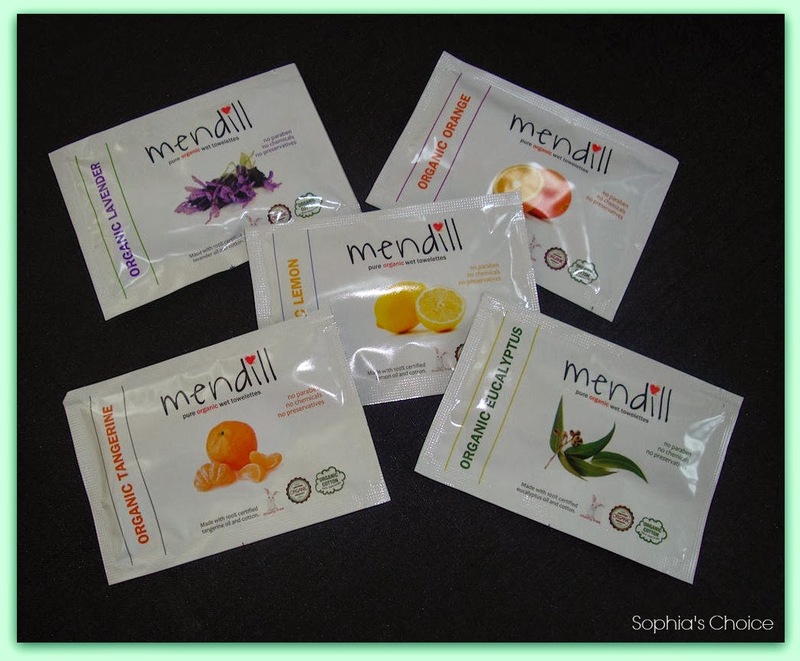 Disclaimer: I was sent a mixed box of Mendill Organic Towelettes to try out with regards to Sophia's Choice Online Shop. All views and opinions are all my own, honest and true.